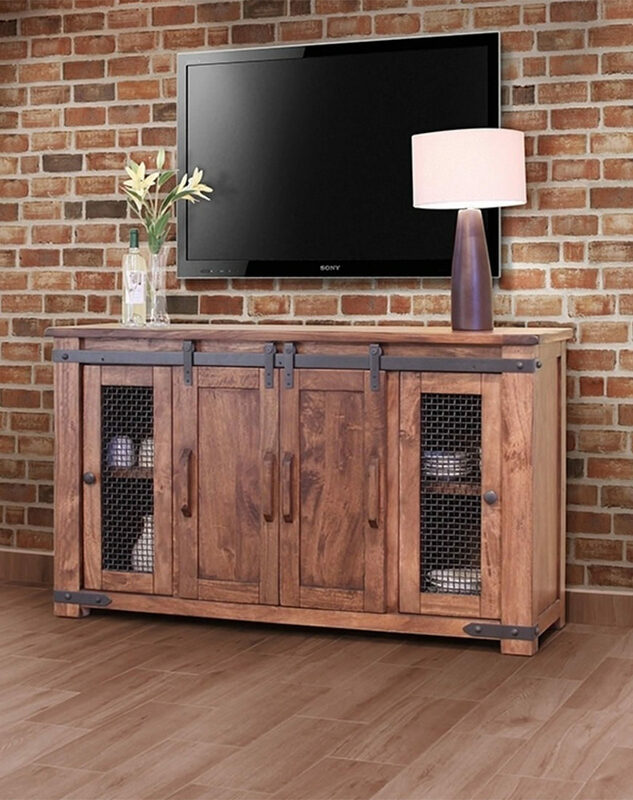 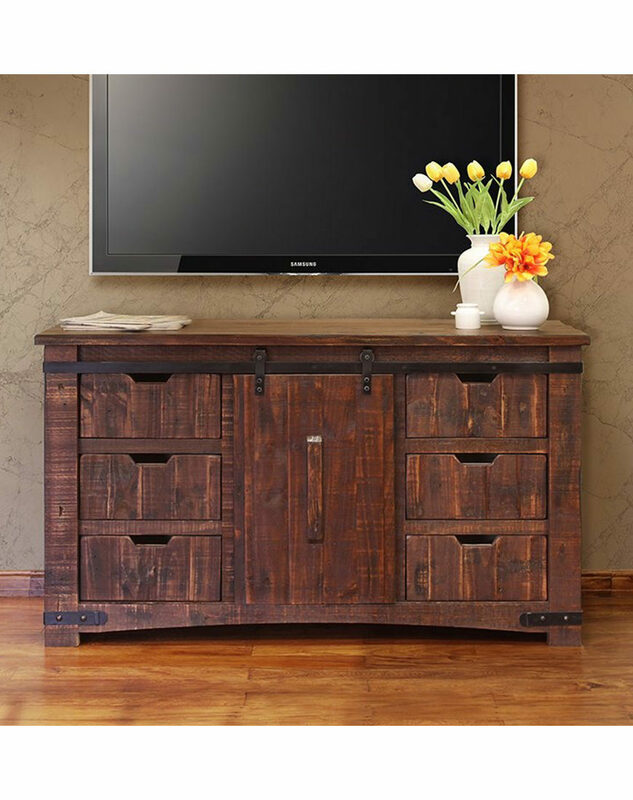 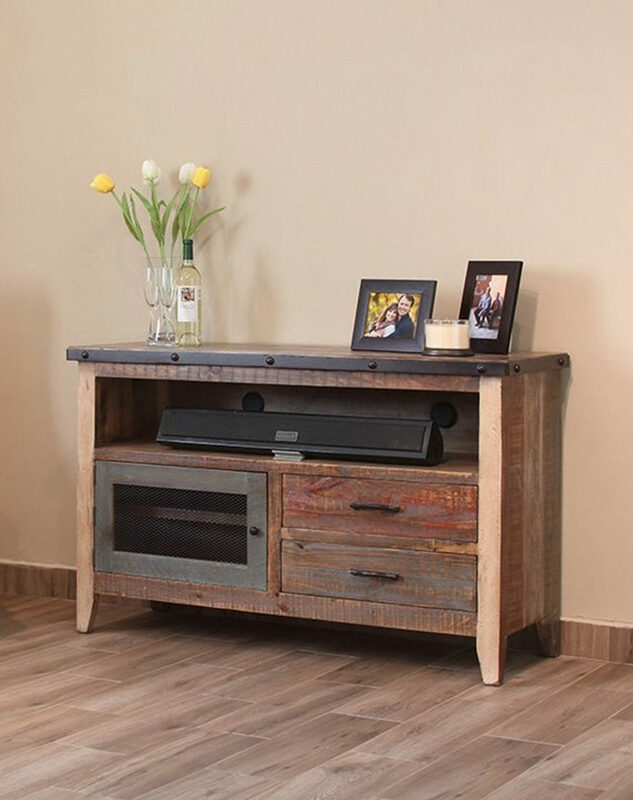 Get a double take on rustic beauty and functionality with the Mozanburg 72-inch TV stand. 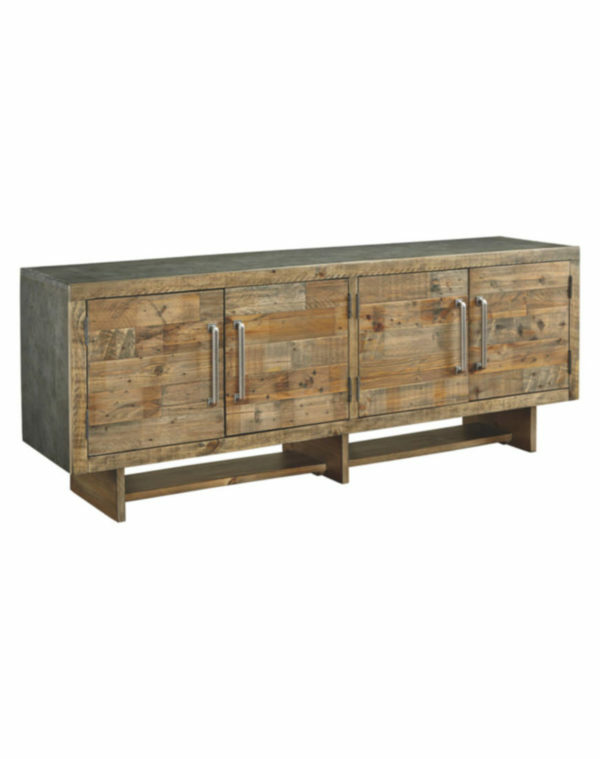 Its extra wide design captivates with two spacious double door cabinets. 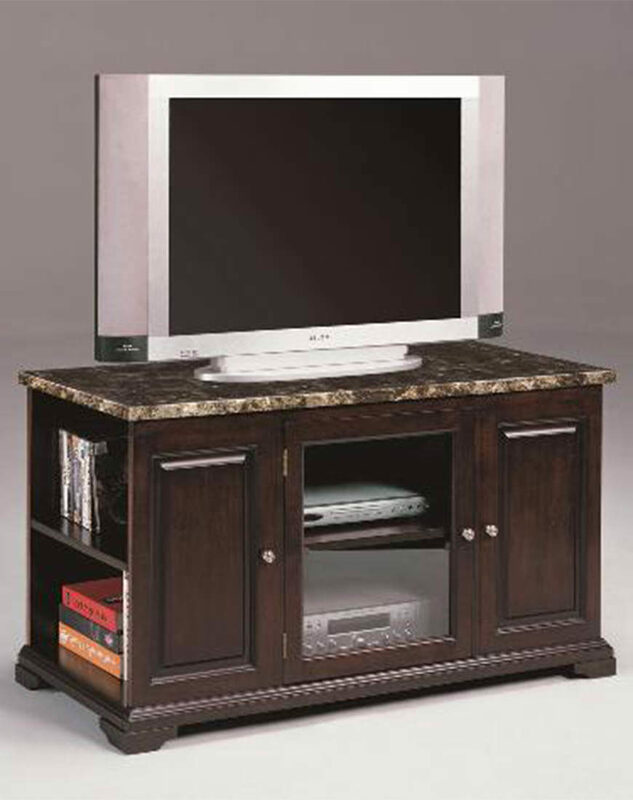 Shelf storage and cutouts for wires are concealed behind cabinet doors. 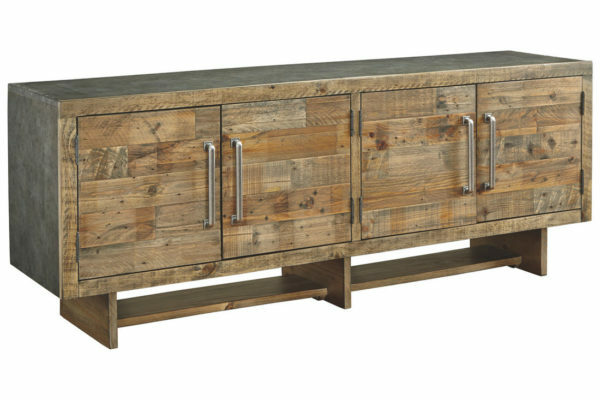 A light brown glaze accentuates the pine wood features seen on the planked door fronts. 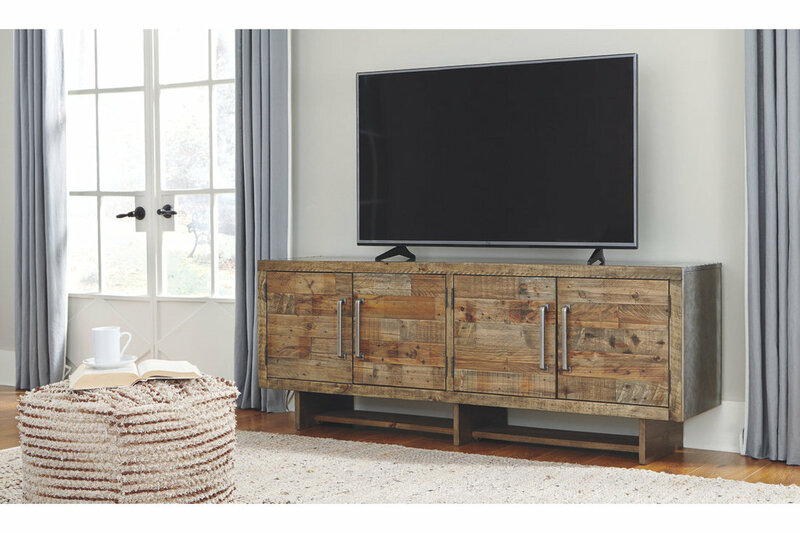 Industrial elements, such as its faux metal top/sides, lengthy cabinet handles and nailhead trim add modern charm—what a stylish addition for entertaining at home.